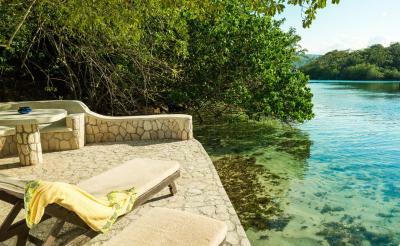 Lock in a great price for GoldenEye - rated 9.2 by recent guests. The staff is incredibly friendly. Very good playlists (only problem you hear them in the distance in your bungalow too). 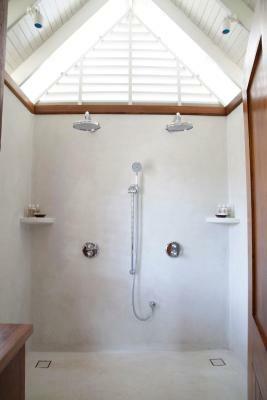 Outdoor shower is nice. A bit hard to get the right temperature. 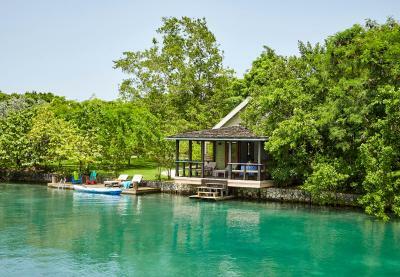 My husband and I stayed at Goldeneye for our honeymoon and it was an amazing experience. 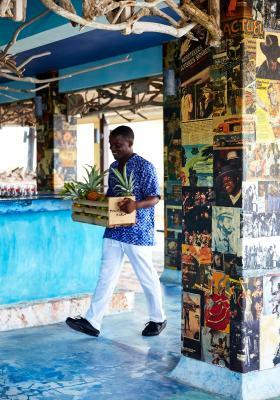 We were received with a delicious pinapple welcome drink and in just a few minutes we were already in love with this place. 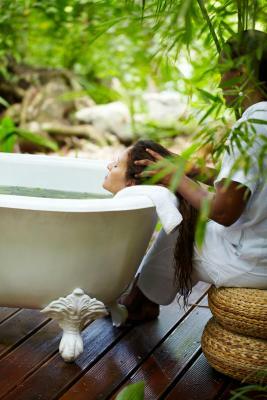 We relaxed like nowhere else. Our room was perfect, the staff is super efficient and also the food in both restaurants are superb! We highly recommend it! 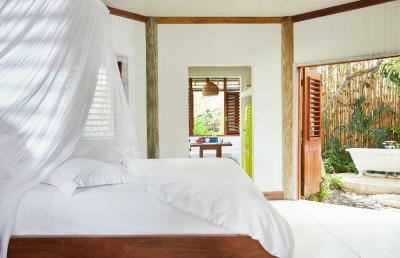 Goldeneye is one of the most relaxed, understated luxury, beautiful properties I have ever stayed at. 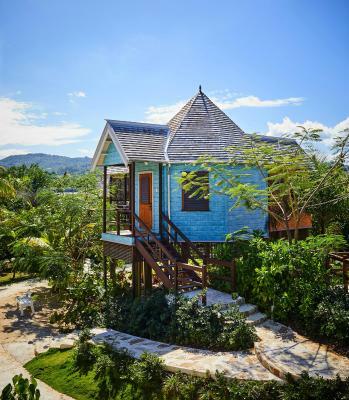 The location, service and grounds were second to none - a special mention to everyone who works there, who made our stay amazing, with a smile on their faces at all times, and to our “Beach Hut”, which we absolutely loved!! 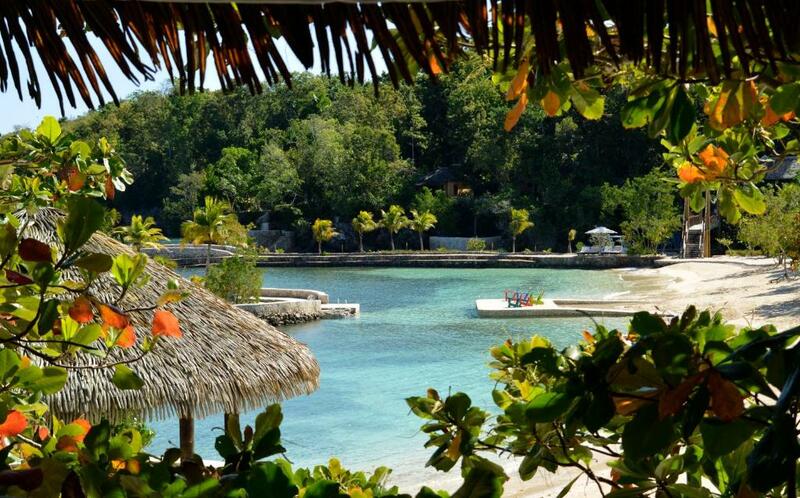 Thank you for making us fall in love with jamaica! stunning place, amazing facilities, really nice and friendly staff. it's really great to have coconut water during breakfast and access to fresh mineral water 24/7. But first of all- it's a legendary place! 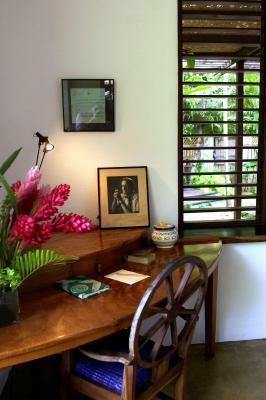 The fabulous location, our room, Lagoon Cottage spacious, lovely fresh fruit. 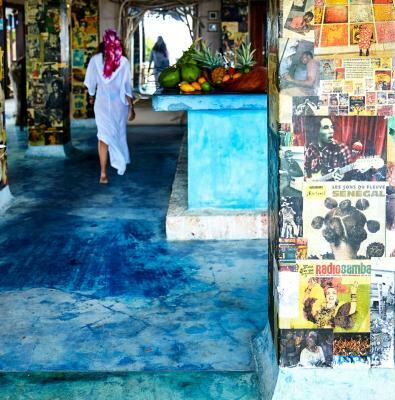 A veranda and pretty gowns to wear. 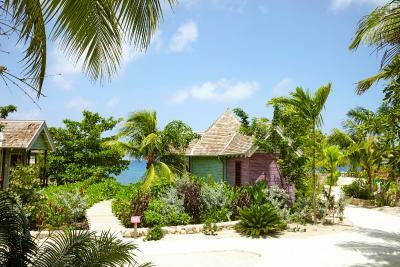 The grounds are exotic fabulous beaches with really helpful qualified staff. Early morning swim fabulous also the personal canoe. 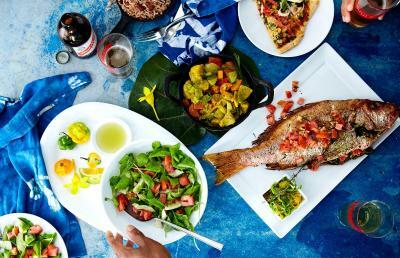 The food above average for Jamaica. Magnificent staff, so kind and they we're so good with our 4-year old son. I could write a novelle about how great this hotel is. YES! 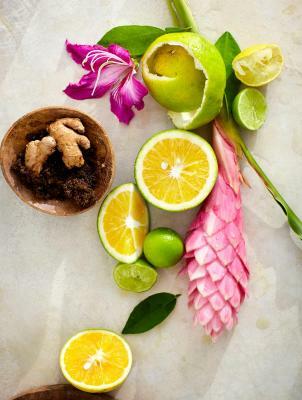 It's as great as it looks, book it now. We're definitely going back there. Love it! Awesome beaches. Snorkeling everyday . Great food! O hotel é excelente. Muito bonito, acomodação ótima com 2x limpezas ao dia, , staffs simpáticos, ótimo em quesito alimentação, esportes aquáticos sem custos. Wifi bom. 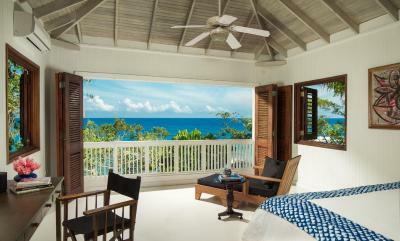 Set in lush gardens, GoldenEye features private beaches, hidden coves and a saltwater lagoon. 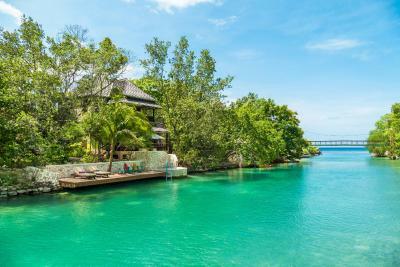 This tropical property was Ian Fleming’s Jamaican retreat, and all 14 James Bond novels were written here. 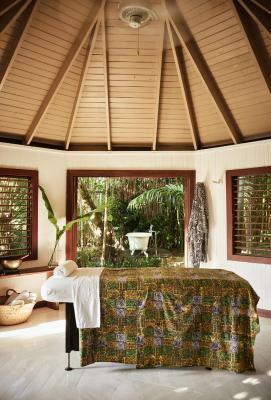 At GoldenEye you’ll find 3 outdoor pools, and full spa. 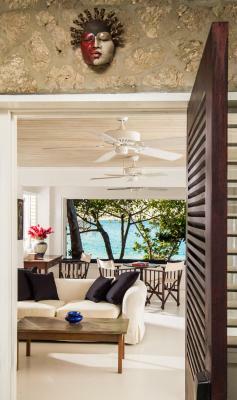 You can choose from a range of villas, beach huts and cottages, including beachfront and lagoon-front properties. 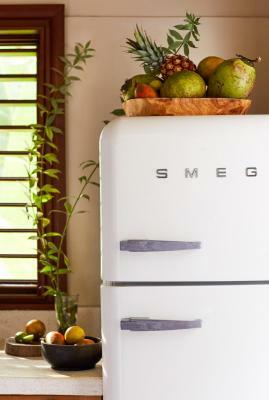 All the villas and cottages come with kitchen facilities. 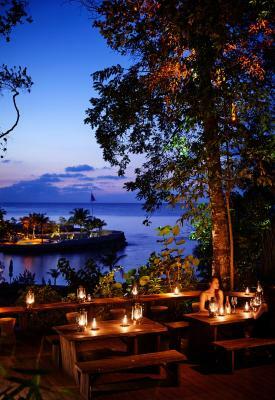 You can also eat out in GoldenEye’s beachfront Bizot Bar bistro or enjoy fine dining in The Gazebo. 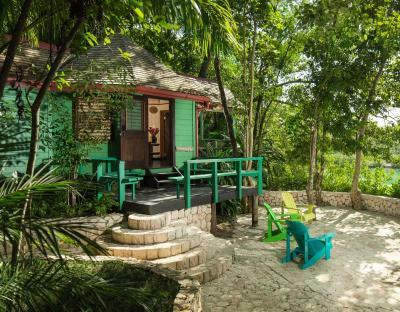 GoldenEye is located a 20-minute drive east of Ocho Rios. 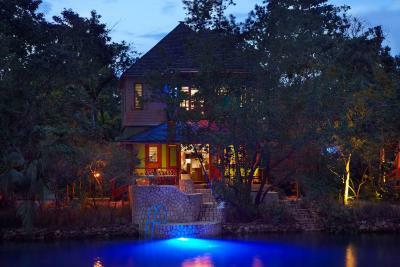 It is a 90-minute drive from Montego Bay International Airport and an 8-minute drive from Ian Fleming Private Airport. 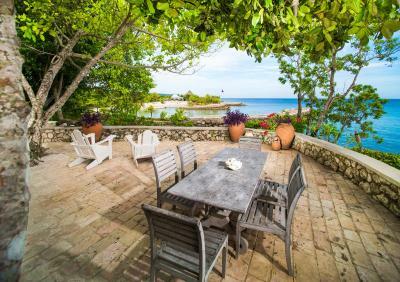 This property also has one of the best-rated locations in Oracabessa! Guests are happier about it compared to other properties in the area. GoldenEye has been welcoming Booking.com guests since 17 Oct 2011. 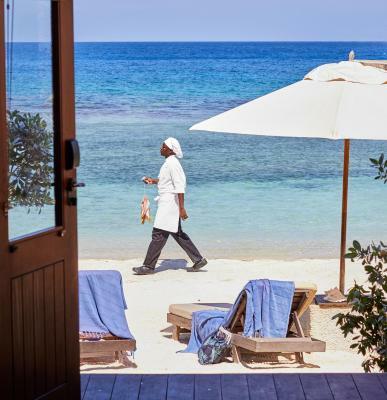 When would you like to stay at GoldenEye? 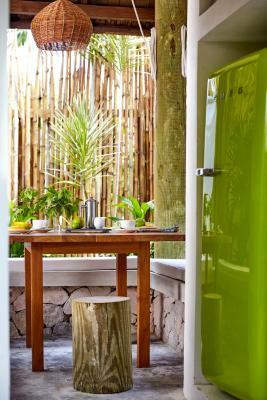 This tropical suite features a fridge, flat-screen cable TV and a furnished patio. 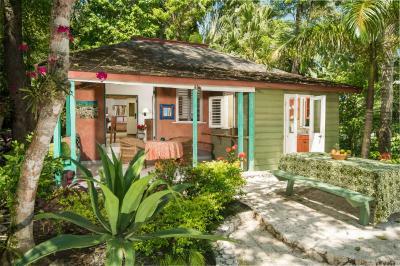 This tropical cottage features a full kitchen, flat-screen cable TV and a furnished patio. 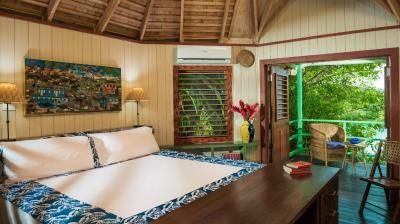 This tropical villa features a full kitchen, flat-screen cable TV and a furnished patio. 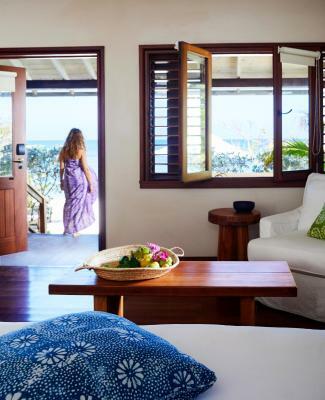 This bungalow has a balcony, minibar and bathrobe. 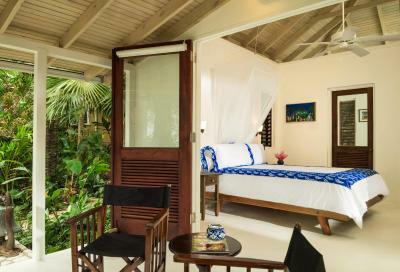 This bungalow features a balcony, private entrance and bathrobe. 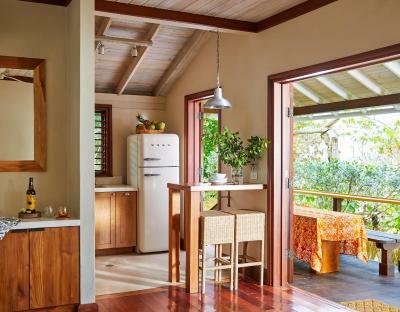 This bungalow has a balcony, private entrance and toaster. 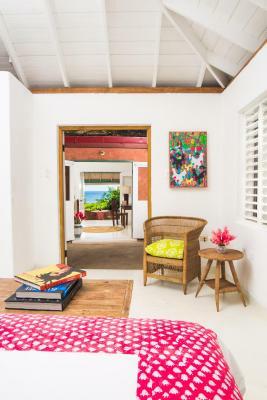 This bungalow features a minibar, bathrobe and sofa. 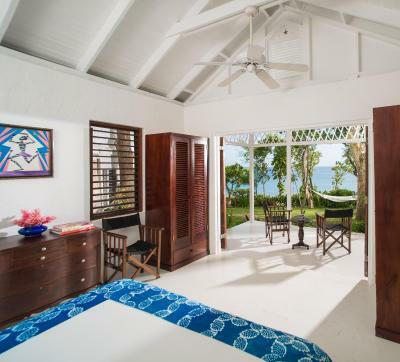 This villa has a patio, private entrance and electric kettle. 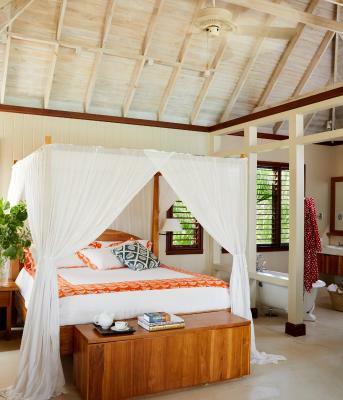 This villa features a balcony, minibar and patio. 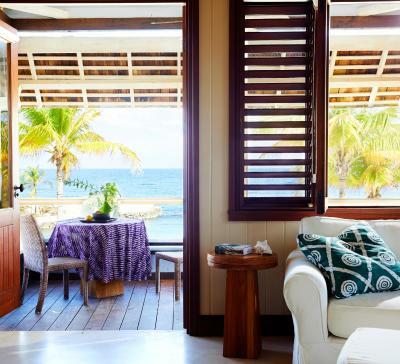 This villa has a balcony, sea view and minibar. 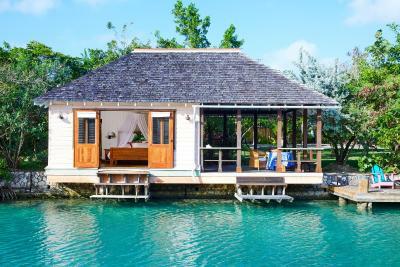 This villa features a bathrobe, air conditioning and DVD player. House rules GoldenEye takes special requests - add in the next step! 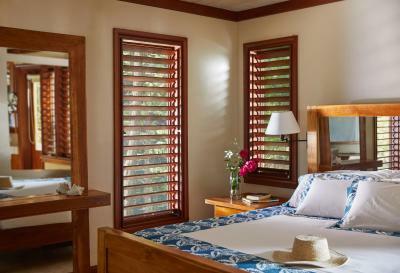 GoldenEye accepts these cards and reserves the right to temporarily hold an amount prior to arrival. Rates are based on 1 - 4 people. 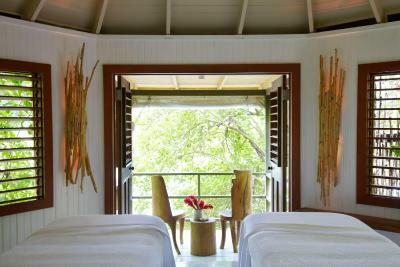 Additional guest have to pay an extra fee of US$30. The property will be going through renovation works from Mon 06 May 2019 until Thu 19 Dec 2019. During this period, guests may experience some noise or light disturbances, and some hotel facilities and services may not be available. The food is average and incredibly expensive (New York prices - 32USD for baked cauliflower, 22USD for linguine with tomato sauce and basil). Menu never changes. No specials of the day. The wine list is horrible. Almost all industrial wines. Noisy road. They seem to continue adding bungalows. No sustainable practices: e.g. plastic water bottles in the rooms, plastic toiletries. Limited sun in our bungalow (one of the last addition). This was heaven on earth. Really not much more to say other then I’m so sad not to be there now. Staff was incredible and I’ve never been or stayed in a more magical place. Heaven. 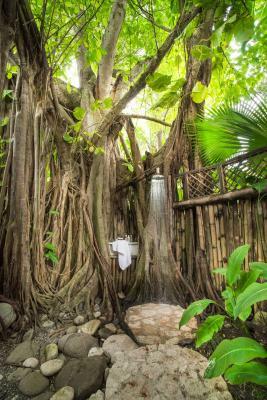 2 hours from either airport but you’ll sacrifice the precious time you have for the unique and secluded location. Great and professional staff with amazing customer service. 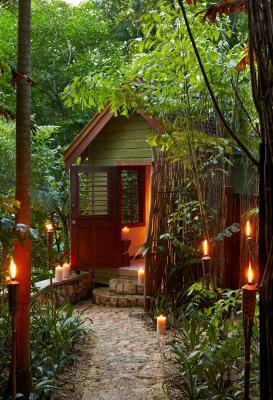 Beautiful huts and incredible location. The executive chef “Tim” was the absolute best, he was personable, friendly and most of all a really really good chef. I didn’t like the fact that they asked if I was celebrating and occasion and i said yes, but they didn’t acknowledge it. I liked the staff they were all very courteous.....and loved the food and the room. The property was simply beautiful. 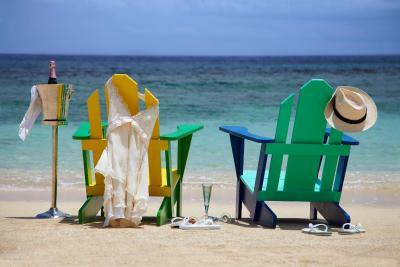 Very romantic, amazing beaches and coral reef, staff is superb. Restaurants. Food quality did not match the hotel. Big let down. 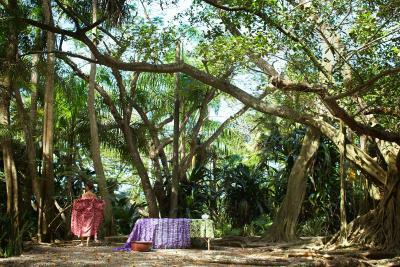 I really enjoyed the peaceful setting.